Before I get to the book let me first tell you about the publisher Leaping Horseman Books. They are a small publisher based in Australia; the main man behind the company name is also an author called Jason Mark. 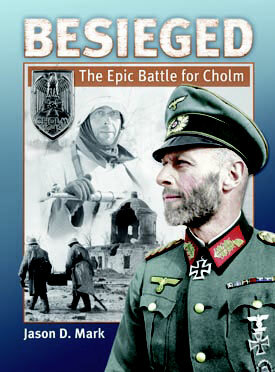 They specialise in books about WWII East front, with Stalingrad being a major focus. If you've browsed their website you'll notice the books aren't cheap. However, hand on heart they are worth every single penny\cent. Not only is the actual content fantastic, all are extremely well researched and written, the materials used are top quality from the paper to the covers, and all have faultlessly clear photographs and maps. Out of the five books I own, one of them is probably my favourite book of all time and that includes fiction. The others easily get into my top twenty and a majority of them into my top ten! I certainly haven't regretted buying any of their books and I imagine that will continue on into the future, as I have total faith every book they release will be a page turner. Iron Cross Brigade is a pretty unique book in how it's set out. 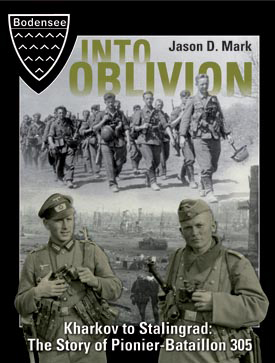 First, you have Werner Gosel's autobiography of his War experience, then you have the unit history penned by Jason and Christian and finally a section that is the unit diary over a set period of time. The autobiography, coupled with the unit history, and the author's excellent narrative work fantastically well. They aren't totally separate sections of the book either. To give an example, when Werner is wounded, then the authors continue with the unit's history until Werner returns. The book is so much the richer than if it had been just a straightforward autobiography\memoir. The decision to write the book like this was a mark of genius. I hope, if the chance arises, Jason will work on similar lines for future memoirs. 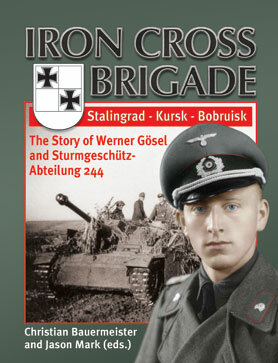 The book follows Werner Gosel and the men of Stug.Abt.244. At the start of Barbarossa, Werner was a despatch rider on the staff of Stug.Abt.244. He was then trained as an Officer and sent back to this unit. Soon they were at the gates of Stalingrad where Werner was wounded in the early stages thereby avoiding the fate that was to befall the unit. The book, however, sticks with the unit, as it is thrust into the hell of Stalingrad. Eventually what was left of the unit went into captivity with only three Officers ever making it back home to Germany. After Stalingrad, the unit is rebuilt and, when Werner returns to it, after a brief stint with Stug.Batterie 395, it is then involved at Kursk and in the following retreat. Werner is made Adjutant in August '43 and is eventually captured by Russians, while trying to break out of the Brobuisk pocket. By this time, Werner had reached the rank of Battery Commander and was not released until five years later and the book looks at how ex-servicemen struggled and the difficulties they faced after the War in East Germany; something I hadn't read about before and is extremely interesting. As for the unit, after Brobuisk it was rebuilt, yet again, and from October '44 until the end of the War fought on the West front. It fought around St Vith during December '44, and was finally destroyed for good in the Ruhr Pocket when on 14th April '45 the commander told what was left of the men to break up into small groups and break out and head for home. Just like the other books I've read from Leaping Horseman, I thoroughly enjoyed it. The book kept me gripped from start to finish and it now sits proudly with the other books I own from them. One aspect of their books I really like is that you come across familiar regiments\units that you've read about in another of Jason's excellent titles. So, a unit that is mentioned that may not have a major part in the book you're reading, isn't just a number, but you remember faces and experiences it has gone through, and so they have character of their own. Jack Sheldon, Ralph Whitehead and Jason Mark are by far three of the best researchers I've come across. I know any book by these authors is going to be superb and well worth reading and will take pride of place on my book shelves. If you're only going to own one military history book you can't go far wrong choosing one of Leaping Horsemans. Iron Cross brigade doesn't let the side down in this respect. It's highly recommended. 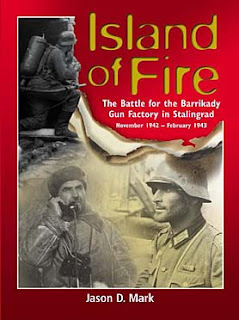 Island of Fire, Into Oblivion and Besieged are three other books I own published by Leaping Horseman and all three are must haves.